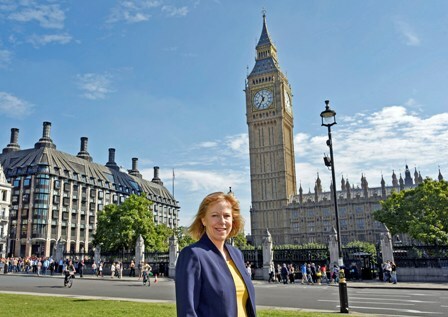 Ruth Cadbury MP has written to the Home Secretary Sajid Javid demanding that the Government take urgent action to address the violent crime epidemic. This comes after a serious of violent incidents across the constituency, including the tragic death of Abdirashid Mohamoud, a 17 year old, who was stabbed in Isleworth on Friday. In the letter, Ruth urged the Government to take 'serious and comprehensive action' to tackle violent crime, including providing additional funding to the Metropolitan Police, who've faced £1 billion in cuts to their funding. This has seen 3,000 fewer police officers on the streets. Speaking about the letter, Ruth said 'It was heart breaking to see another act of violence on our streets last week, which this time lead to the death of a 17 year old, Abdirashid. The Home Secretary needs to take urgent action to address this violent crime epidemic, and that includes fully funding our police so that they have the resources to tackle crime, and engage in community policing. Likewise the Government need to reinvest in youth clubs, schools, colleges and other vital services for young people, all of which have faced funding cuts since 2010. These services play a crucial role in preventing young people from falling into a life of crime. I will keep working in Parliament to push the Government to take a much bolder approach to knife crime. This not only means more funding for our police officers, but also more funding for youth and social services, who've been decimated by cuts.